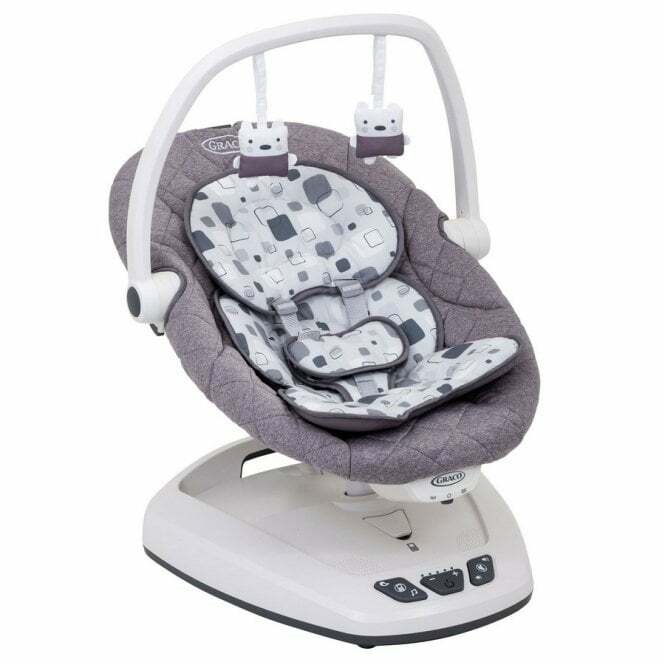 Graco Move With Me Swing With Canopy is a compact nursery swing that will help calm your baby. Suitable from birth to approximately 9 months (9kg), this bouncer can be carried from room to room. Soothe your baby with 10 music options, 5 nature sounds or choose your own playlist with the integrated MP3 connectivity. Why should I choose the Graco Move With Me Swing With Canopy? 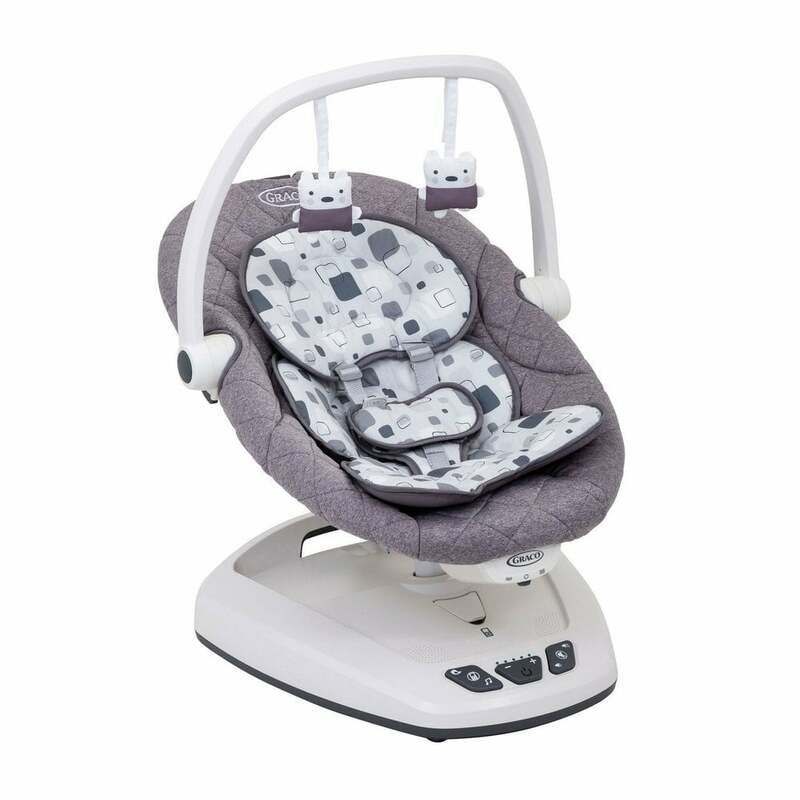 Graco Move With Me Swing With Canopy is a technologically advanced way to get your baby sleeping soundly. This fantastic swing has an electronic sounds built in, so you can choose from 10 different relaxing tunes or five different nature sounds. If that’s not enough, you can also plug your music device into the integrated MP3 socket and sway to your own playlist! The swing itself works like a bouncer, but is electronically operated so it does all the hard work for you! Simply pop the seat into your baby’s preferred position and then set off the side-to-side sway motion and 2-speed vibration. The Graco Move With Me Swing With Canopy is very portable. Simply pick it up by the carry handle so that your baby can enjoy being swayed to sleep in the nursery, or any other room in the house. It's so compact and light, that you can lift the bouncer with your baby in it. Enjoy floating your baby to sleep with the Graco Move With Me Swing with Canopy. Graco offer a 1 year Manufacturers Warranty from the date of the initial purchase. Applies to UK mainland only.